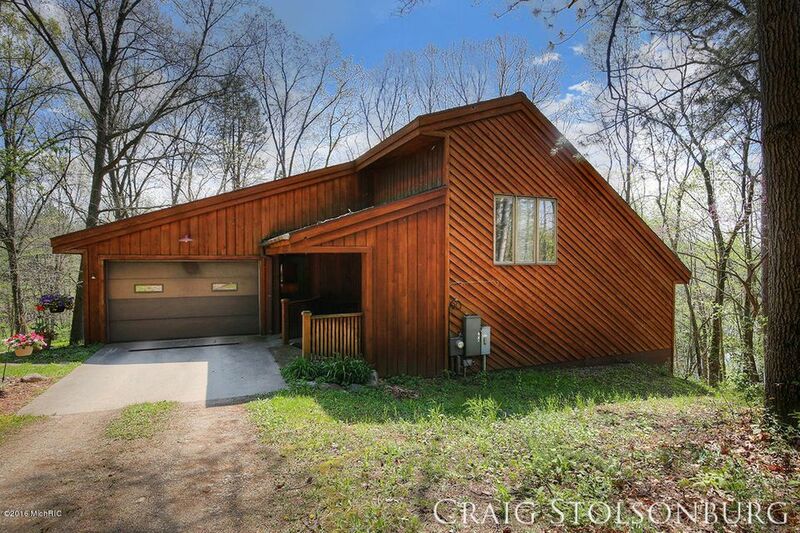 Get inside this beautiful cedar sided home on over 8 wooded acres in Thornapple Kellogg Schools. The home features 3 bedrooms, 2 bathrooms, nearly 2800 square feet of open living area, hardwood floors, a beautiful brick fireplace in the living room, wrap around deck with screened porch, plus every energy efficient feature possible. This gorgeous setting has over 400 feet on a Thornapple River tributary and a 2 story cedar sided outbuilding for all of your toys.